It’s time to create some magic moments! 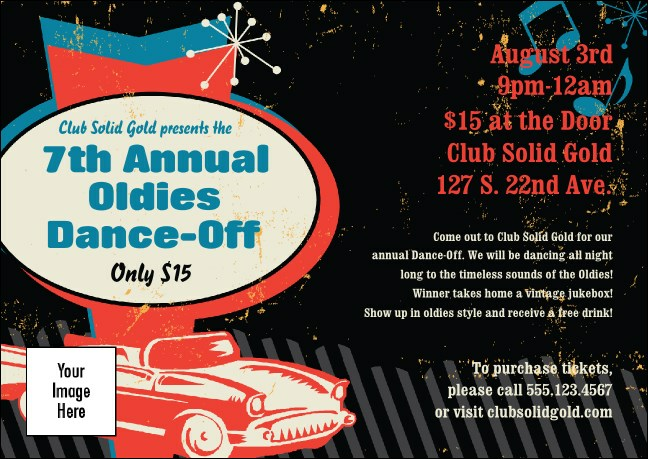 Invoke some nostalgia and let your guests know where they can dance the night away with the Oldies Postcard! Images of a classic car, a poodle skirt and a drive in sign help transport your guest to a time gone by. Bring it together with a matching event kit from TicketPrinting.com!